Ricardo Miller, commonly known in Brazilian Jiu Jitsu as “Franjinha”, is regarded as one of the top BJJ coaches in the world, having graduated from his famed Paragon Jiu Jitsu Academy, big names of the grappling world such as Jeff Glover , Bill “The Grill” Cooper among many others. Nickname: “Franjinha” means fringe. 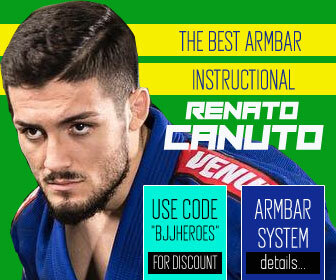 The name came about when Ricardo started training at Romero Cavalcanti’s gym in Rio de Janeiro. Miller had straight hair, and he would always have a bowl style haircut which resembled a comic book character from “Turma da Monica” books and TV show. That character was named Franjinha. Ricardo Miller was born on the 30th of June, 1969, in Rio de Janeiro Brazil.He grew up on one of the most famous burghs of Rio, the Leblon which neighbors Copacabana. The last name Miller comes from Ricardo’s American origins, his great grandfather was from the USA. It is said that his family owned a Mill a few generations ago, thus the name “Millers” which later turned into Miller. Another peculiarity of Ricardo Franjinha Miller is that unlike many of the athletes in BJJ today who had very humble upbringings, Miller came from a middle class family in Brazil and had a chance to study in a good school. 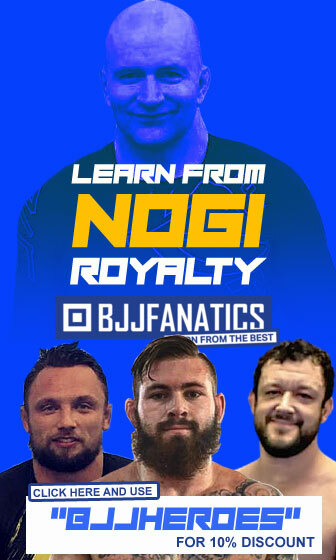 He found Jiu Jitsu in his late teens (when he was 19) and straight away started training with his one and only mentor, Romero Cavalcanti at the Jacaré academy in Ipanema – Rio de Janeiro. At Jacaré’s place Miller had the opportunity to train with and under many of the big names of his time. People like Fábio Gurgel, Traven and “Telo” Mendes. 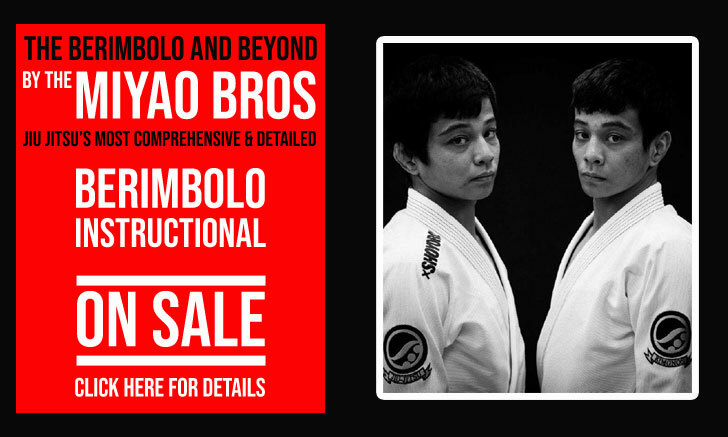 All this hard training paid off in 1996 as “Franjinha” took gold at the Mundial (World Championship) in the meio-pesado brown belt division. 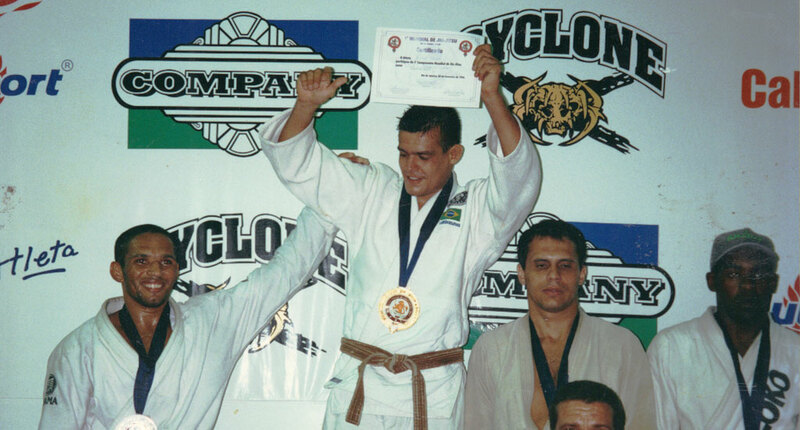 He was awarded his black belt by master Romero Cavalcanti shortly after his World title (February 1997) combining a total of 8 years between the time he first stepped on a mat and his black belt ceremony. In 1997 Franjinha decided he needed a new challenge in life. Ricardo was already one of the coaches at the prestigious Alliance academy in Sao Paulo (Fabio Gurgel‘s Headquarters), but after a brief stay in Santa Barbara, CA for the 1996 BJJ Pan American he fell in love with the place and moved to the US, seeing great potential for BJJ in the country for Jiu Jitsu. 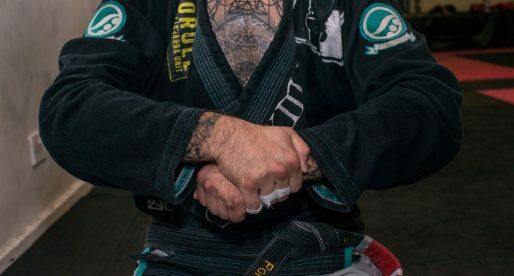 In California Ricardo Miller founded the Paragon Academy, this academy has flourished throughout the last decade having become a testament to it’s name, a true model of excellence to all BJJ academies over the World, with great fighters coming out of it’s camp. Paragon today is famous for it’s technical prowess that has graduated names such as Jeff Glover, Bill Cooper and Tyrone Glover (who was Franjinha’s first black belt), but another of Paragon’s most successful competitors is also it’s founder, Miller is still a very active competitor in many top level events such as the Pan American the Nogi World Championships and many others. Franjinha is not only our teacher but also a great role model. We are so lucky to have such an awesome instructor and also a great friend. 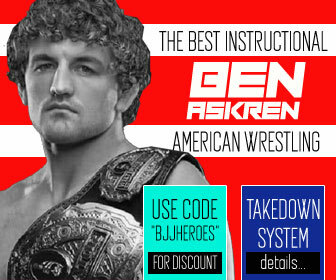 If you ever in socal come and learn from this awesome instructor. Franjinha is one of the kindest people that I have met. He always has a huge smile on his face when I see him. The difference between him and other instructors that I have met is that he not only leaves himself open to answer your questions, he also asks you! He'll ask to get to know a little bit about you even if its the smallest thing. This says a lot about him as a person. He is a very genuine person. He takes his job very serious and is very dedicated to the family that he has built in California and down here in Texas. He is a really nice person in general. When it comes to jiu jitz, he is NO JOKE!! He is very detailed in the way he explains things and does not hold back when he teaches us when he comes down. He doesn't come and show us a simple little thing that we already know. He opens up his book up secrets and lets us in on everything. I couldn't ask for a better person to have as a head instructor. I am very proud to wear the patch on my gi and the tattoo that I have on my wrist. Hope to see you soon brother and I thank you for everything that you have done for us!! Much love from Edinburg,Texas. 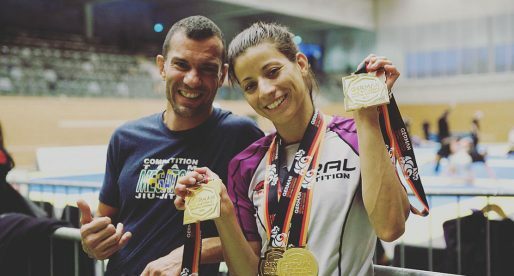 Franjinha is not only a tough competitor, but he is also a great mentor for all of his students. He welcomes anyone from any affiliation to come and train at his gym(s). I really appreciate how he has made a school for everyone to call their own. You can see this by the way his students open their arms to new and visiting students. Just look at how many paragon schools have opened in the last couple of years. There are certainly going to be more to come! As Franjinha says, "Believe". As a former student of Franjinha's, I can attest to his skill and knowledge as a coach and his warmth and genuineness as a person. A lot of the skills I display today are a direct result of Franjinha's teaching. His school in SB is welcoming, and he always tries his best to give one-on-one guidance to everyone. I used to train with him on Saturdays in Lompoc, CA – when Cooper was about 15 and prepared for training with Slim Jims and a Rock Star. Thanks Franjinha! Ola. Gostaria de entrar em contato com Ricardo "Franjinha"